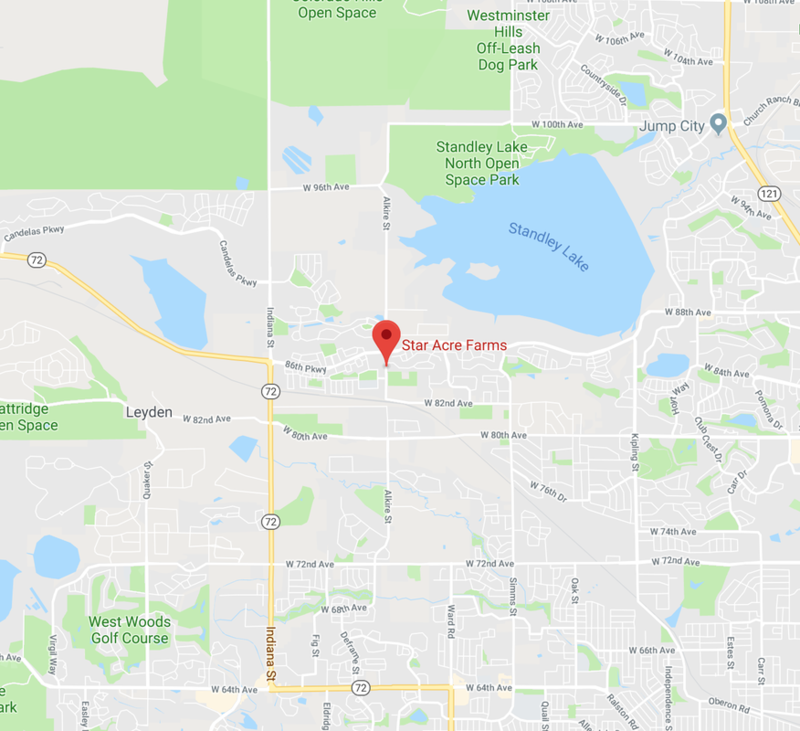 We're located at 8412 N. Alkire Street, Arvada, CO. You're welcome to stop by for volunteer days, to shop from our farm stand, and to partake in First Friday activities. Click here for a full calendar of our 2019 events. Stop by to volunteer your time every Saturday from 9 a.m. to 1 p.m. from April through September. To learn more about volunteering, visit our Get Involved page. To stay in the loop with the latest volunteering news, sign up for our newsletter on our Contact Us page. Check out our farm stand on weekdays from 5 to 8 pm starting in mid May and running until early October. We'll be selling produce fresh from the fields as well as farm-fresh chicken eggs, fresh mushrooms from Fort Collins, fresh fruit from our growers in Palisade (peaches, apples, pears), and other locally-made items. First Fridays at the farm are always a hit. Come for the fresh produce and stay a while for the entertainment! Visit our Events page to learn the specifics on each fun First Friday event.